Thanks, Mail Carrier | Available Today: Shaun the Sheep Movie on DVD and Blu-Ray Combo Pack! 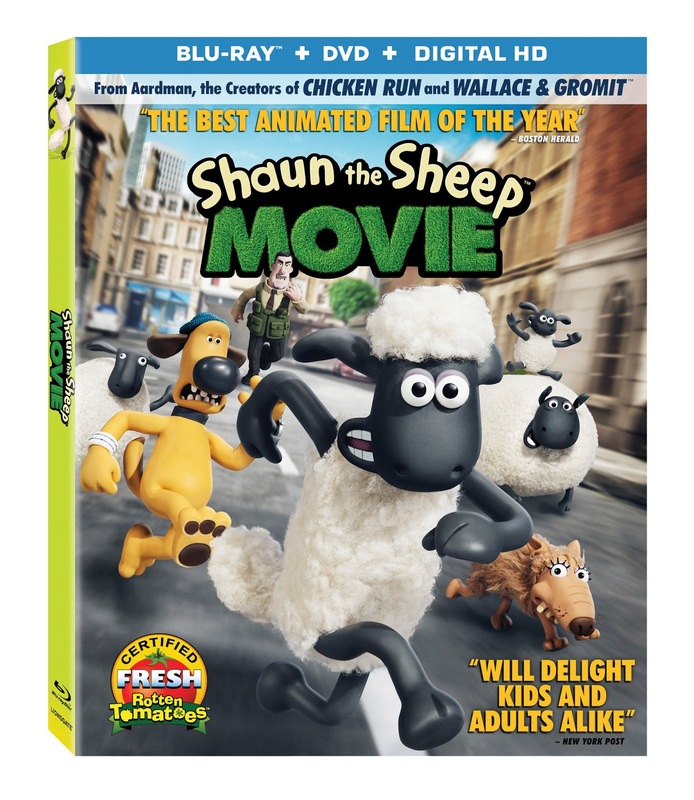 Available Today: Shaun the Sheep Movie on DVD and Blu-Ray Combo Pack! Back in August, my family was excited to help in announcing the release of one film that all ages can appreciate: the entertaining, engaging, amusing, heartfelt, visually stunning, adventurous Shaun the Sheep Movie. It was time to head to the theaters to follow Shaun and his friends as an accident with the farmer's caravan and a very steep hill lead them to making a trek to (and through) the big city. When it was up to Shaun and the flock to return everyone back home, we couldn't wait to see if they would be able to work as a team and get the job done! Whether or not you and your family made it to see Shaun on the big screen, now is the time to celebrate the ability to bring home this little sheep with big dreams just in time for the holidays, as Shaun The Sheep Movie arrived on Digital HD on November 10 and is being released on Blu-Ray Combo Pack (plus Digital HD) and DVD (plus Digital) today from Lionsgate Home Entertainment! Perfect for the young and young-at-heart, this "world-class winner" (Rolling Stone) is rated 99% Fresh on Rotten Tomatoes and was the #1 movie on their Summer Movie Score Card for 2015. Is it any wonder? Everyone loves Shaun even when life on Mossy Bottom Farm has become a bit dull. Which is why when Shaun takes the day off for some fun in the Big City, he gets a lot more action than he bargained for. This film follows Shaun and his flock as they must use their wits to hatch a baaaa-rilliant plan to get back home in an adventure the whole family will love! 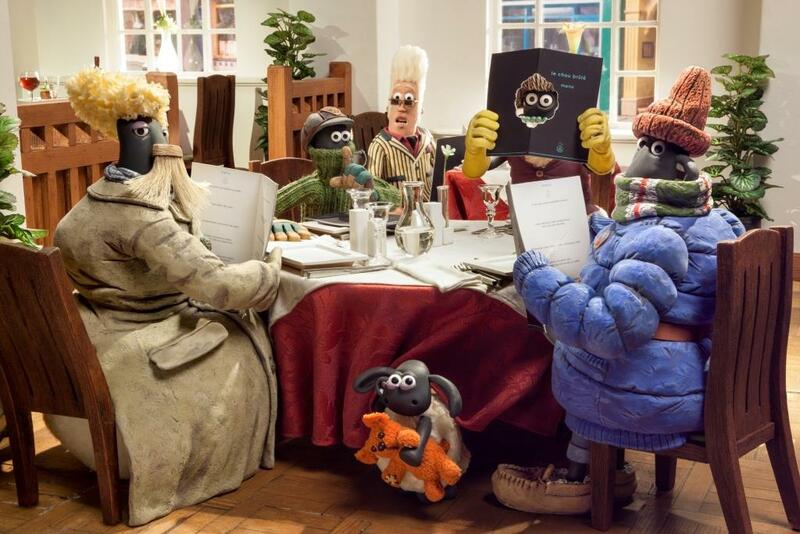 The Shaun the Sheep Movie home entertainment release comes loaded with bonus features including a fascinating look behind-the-scenes of the making of the film as well as interviews with the cast and crew. Still on the fence? Check out the adorable trailer to see just how fun and laughter this movie can provide! Aimed at kids ages 4-10 and with a feature run time of 85 minutes, the Shaun the Sheep Movie Blu-Ray combo pack (plus Digital) is available now for an MSRP of $34.99 and on DVD (plus Digital) for $29.95. Find out much more about the fun, feel-good antics of Shaun and his flock by visiting ShauntheSheep.com and connecting on Facebook, Twitter and at #ShauntheSheep. Want to get in on the Shaun the Sheep Movie excitement even more? Download these fun activity sheets to extend the love for this adorable sheep today! Other than a copy of Shaun the Sheep Movie that I was provided by Lionsgate Entertainment, I was not compensated or enticed to do this post in any way. This post is solely my honest opinion about this product. I think my son and I would have a lot of fun watching this together! That looks like a fun movie. My nephew would get a kick out of it. My nephew says he's already seen it. I like the claymation they use for this movie. Some movies are more fun than others and this looks like fun.